Snap, the parent company of Snapchat, was the most anticipated IPO in 2017 and had an amazing start. 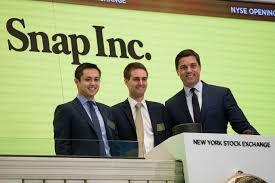 After pricing the IPO at $17 per share yesterday, the stock opened at $24. It then closed the day at $24.48, a 44% premium to the people who bought it yesterday. Date : 3/03/2017 12:36:00 μ.μ.